The Class of 2018 is ready to lead, both at home and abroad. As beaming students and their families pack UC commencement ceremonies this weekend, they celebrate not only earning a diploma, but all of the growth and opportunity that comes with it. For some, a UC education has opened their eyes — and expanded their horizons — to a world they could have scarcely imagined. For others — military veterans, immigrants, undocumented students —their education has provided the rocket fuel to give back to the communities that shaped them. Meet a few members of the Class of 2018 who represent UC’s pioneering spirit and its role in creating leaders both at home and abroad. These are students who have forged their own version of the American Dream to get where they are, and are using what they’ve learned to make their mark on the world. When Lydia Natoolo encounters injustice, she doesn’t get angry. She rolls up her sleeves and gets to work. Born in Uganda as the youngest of 28 children, the UC Irvine biological sciences major founded a nonprofit that raised $50,000 to bring a reliable source of water and power to a hospital in her native country, reducing mortality at the clinic by 75 percent. 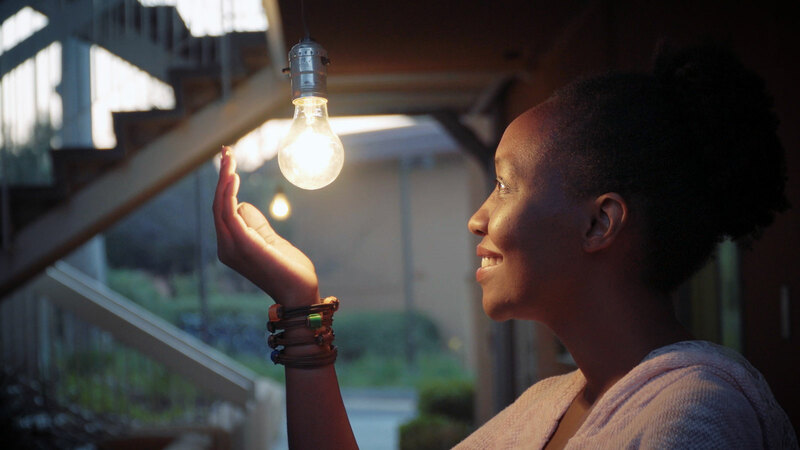 As a 33-year-old nursing student at Saddleback College who was struggling to pay her own bills, a chance encounter with an article about a Ugandan hospital with no running water and little electricity moved Natoolo to visit the facility herself to see how she could help. Natoolo founded the Love a Community foundation to address the issue by first raising money to restore clean water through the hospital. Her work only intensified when she transferred to UC Irvine, where she raised an additional $20,000 for solar panels and then took on the challenge of proper nutrition for patients, acquiring 10 donated acres of land for a sustainable farm for the hospital and nearby community. But she hasn’t stopped there. As someone who herself has struggled with both hunger and homelessness, Natoolo successfully ran for student body president to address issues of housing and food insecurity on campus. She has consulted on ways to tackle these issues with UC’s top leadership, and helped UC Irvine establish the system’s largest food pantry. Learn more about Lydia Natoolo. As a child, Tomanik’e Banks impressed the adults around her with her intelligence and ability to learn. But her mother’s struggle with substance abuse throughout her childhood meant she and her siblings were moved from one unstable living situation to the next, often unable to attend school. When she was put into permanent foster care at the end of the sixth grade, she had only a second grade education. But she was determined to catch up, and despite the ongoing chaos of seven foster placements and six homes, she graduated at the top of her high school class. That hard work earned her a spot at UC Merced, where she became a campus leader and foster youth advocate. Now the public health graduate is off to the Peace Corps, her first time out of the country, to work with the health department in Sierra Leone. “It’s important to me to help make sure people have access to basic health care,” she said. Learn more about Tomanik’e Banks. A summer job at a camp for kids with disabilities brought Scotland native Chris Turner to the U.S. for what he thought would be a short break from the grim weather, and even bleaker economy, in his hometown of Glenrothes. Five years later, Turner was still living in the U.S., serving as the camp’s assistant director, when the Twin Towers came down. 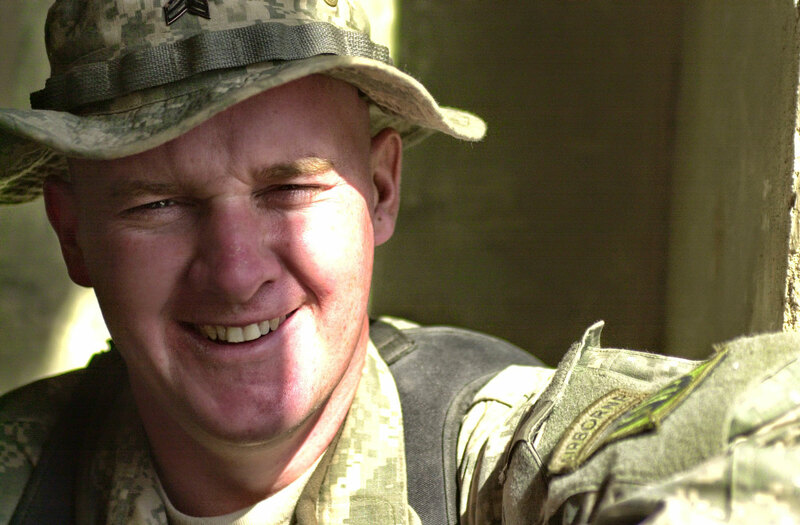 Turner enlisted in the military to serve what had by then become his adopted country, and spent 10 years jumping out of airplanes as a U.S. Army combat medic with the 82nd Airborne in Iraq and Afghanistan. 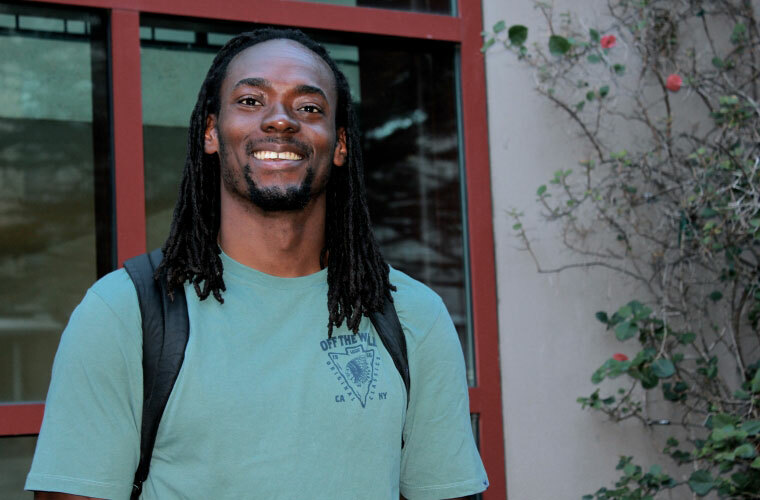 After returning to civilian life, the 42-year-old Turner transferred from Antelope Valley College to UC Santa Barbara, where his training in anatomy helped him earn a degree in forensic anthropology. Now, with the aid of a National Science Foundation fellowship, he hopes to locate and repatriate the remains of fallen soldiers. Learn more about Chris Turner. It would be enough for Ray Gutierrez’s parents, migrant workers in California’s cucumber farms, to see their son graduate college. But his undergraduate experience at UC Santa Cruz has taken him, quite literally, much further than they ever could have imagined. A film and digital media major, Gutierrez started out planning to go into the entertainment industry. But a stint in India with UC’s Education Abroad Program changed everything. While there, Gutierrez ended up making a documentary about a program that helps blind youth gain self-sufficiency by training them to work as coffee baristas. That film led to other opportunities to use digital media for international aid efforts. He now works with a news agency in Thailand on an information and public service campaign to reduce the staggering number of vehicle-related deaths and to improve road safety for scooters and motorcycles. Learn more about Ray Gutierrez. As a child who left her parents and siblings behind when she emigrated from Nigeria, Lucy Ogbu-Nwobodo encountered a life of hardship and forced domestic service when she arrived in the U.S. But despite being bullied at home and at school, the determined youngster studied in secret to become class valedictorian at 15. Lack of legal immigration status almost dashed her college dreams until friends helped her enroll at Cal State, where she sold cookies to pay her tuition. Last month, after a 16-year journey overcoming heartrending obstacles , she earned her M.D. from UC Davis. She is now off to a residency at Harvard’s Massachusetts General Hospital, with plans to work in mental health for the poor. Learn more about Lucy Ogbu-Nwobodo. Anika Ullah has done more as a 22-year-old than many accomplish in a lifetime. 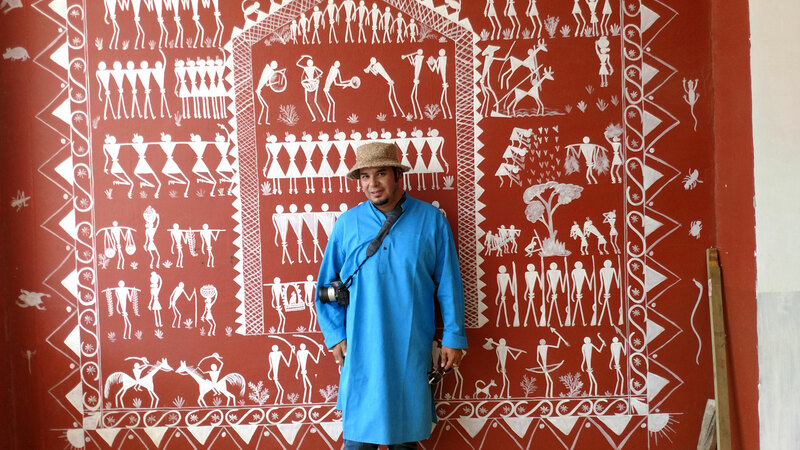 The Cupertino native and new UC San Diego graduate blends visual and multimedia art forms, community service and hard lab science to launch transformative health projects. 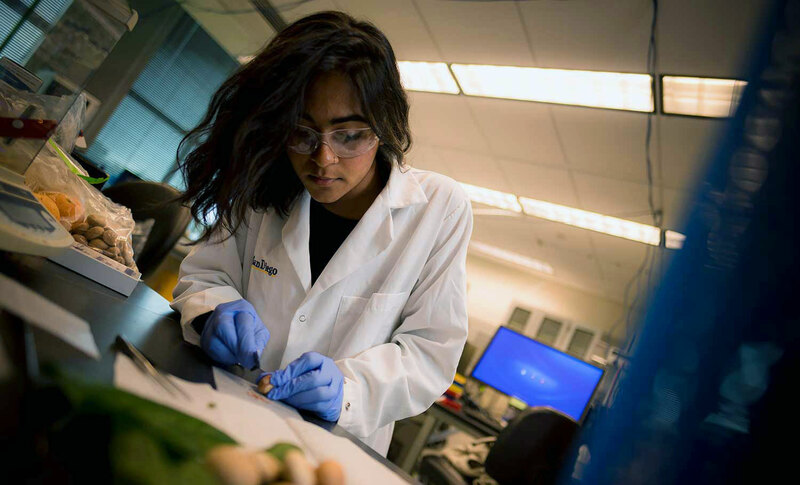 Her out-of-the-box approach has led to creative solutions for boosting public health, including using lemon trees as a low-tech way to mitigate air pollution from the thousands of vehicles idling at the U.S.-Mexico border each day. Now Ullah is off on a Fulbright scholarship to work with the Taiwanese government on efforts to reduce oral cancers from betel nut, a popular and addictive stimulant. Through her research, she discovered that a remote region of China has a method of drying and spicing the leaves that seems to make it much less carcinogenic. Learn more about Anika Ullah. An army veteran who saw combat in Iraq and Afghanistan, Alfredo Figueroa overcame his own troubled past and run-ins with the law to graduate this May from UC Berkeley with a bachelor's in business administration. 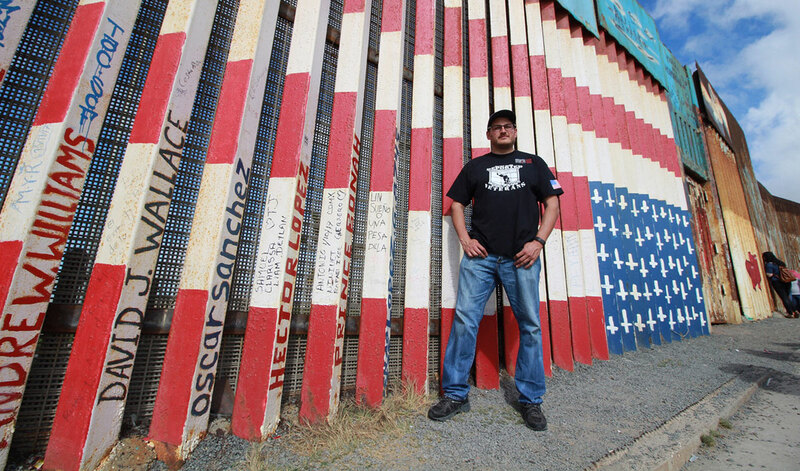 When he learned, during a spring break program focused on immigration, that a group of fellow soldiers had been deported and were living in a makeshift home south of border, he made it his mission to fight for them and bring them back. Figueroa has made several trips south of the border to deliver money and supplies like toothpaste, razors and deodorant to a group of about 30 men living in the unit, known as the Bunker. He has involved the Cal Veterans community in advocating for these men and as many as 300 others who are estimated to have been deported to Mexico after serving in the U.S. military. A recipient of the Judith Lee Stronach Baccalaureate Prize, he plans to use his $25,000 award to support veterans in exile. Learn more about Alfredo Figueroa. On her shift driving the Metro No. 2 bus from downtown Los Angeles to Westwood, Sequoia Thompson would enviously eye all the college students. 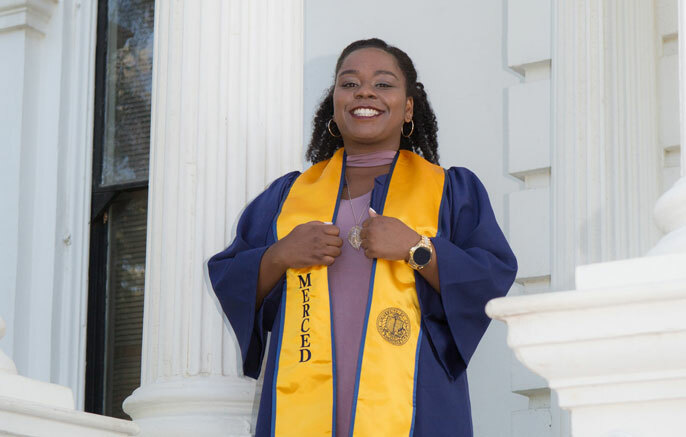 A FedEx package handler and a switcher at the Union Pacific Railroad before becoming a bus driver, Thompson never saw herself as college material, until a class at Pasadena City College sparked a passion for psychology that she ended up pursuing all the way to a bachelor’s degree from UCLA. 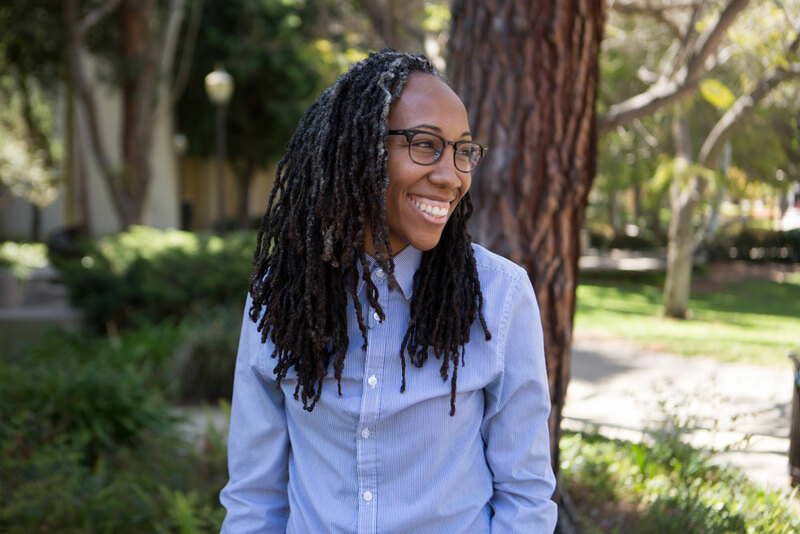 A gay woman from a family where that was never accepted, Thompson’s interests also took her to a study abroad program in the Netherlands, where she started a forum for LGBTQ people of color. Learn more about Sequoia Thompson. UC Riverside graduate Phong Au-Hong, a lifelong bug enthusiast, believes that insects have something to teach us about immigration. “Watching how they react to climate change and other disruptors can offer a simplified model for how human communities react during periods of tumultuous change,” he said. Nevertheless, the entomology major would not have predicted the path his own undergraduate career has taken: leading him to reconnect with his family’s history and sparking a commitment to aid refugees. While studying in Germany for an undergraduate research project, he volunteered to work with refugees from the Syrian civil war. Their experiences, though of a very different conflict, hit close to home for Au-Hong, who had immigrated to San Jose from Vietnam at age 9. While he emigrated in the early 2000s, many of his family members had fled the country years earlier as refugees themselves. “Working with refugees allowed me to learn more about myself and my family story,” he said. Upon returning to Riverside, he founded the Refugee Empowerment Project in partnership with Glocally Connected. Through it, he facilitates a Critical Refugee Studies course to mobilize students and establishes a network of resources to support Afghan refugees’ health and well-being, building upon their traditional healing practices. 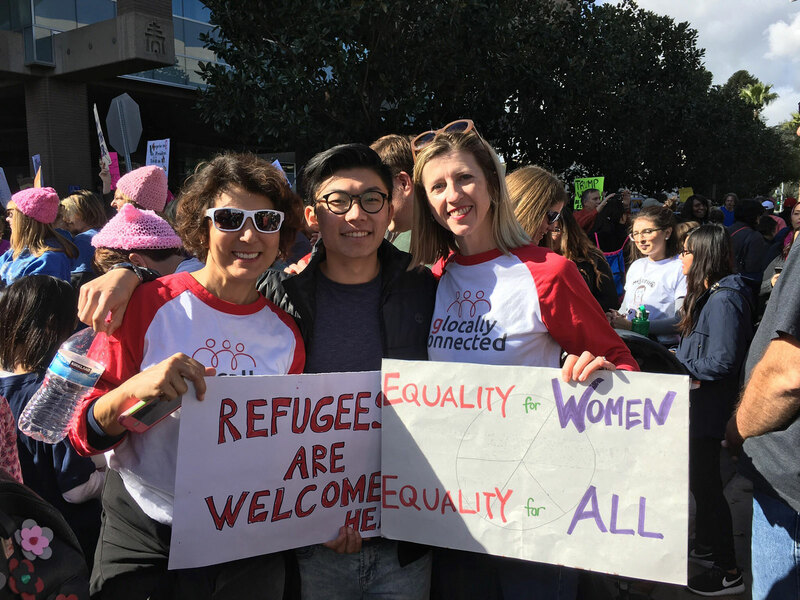 Au-Hong is now going back to Germany as an English teacher with the Fulbright program, where he will be working to help immigrants and refugees begin new lives. “When I first came to Riverside, I did well academically but I lacked a sense of purpose in my education,” he said “My family and refugee community became my purpose, and I am grateful for their continuous support.’ This June, Phong joins his brother as the first one in their family to graduate college – a dream of his family since the day they left Vietnam. Learn more about Phong Au-Hong. Joe Udeochu came to California from Nigeria with only his younger brother, leaving his siblings and parents behind. Landing at Carson High School near Long Beach, “There wasn’t really a playbook on what to expect,” he said. He cured his homesickness by focusing on his studies, first at El Camino College, then as a physiological sciences major at UCLA. Having just completed his Ph.D. in biomedical sciences from UC San Francisco, Udeochu is doing postdoctoral research at UCSF’s Gladstone Institute, taking aim at dementia and the decline in mental acuity that comes with age. As a child, Udeochu was prone to colds, fevers, malaria and other illnesses. That sparked his interest in looking inside the body to better understand what is happening on a microscale. He has now turned his attention to aging, and how inflammation affects brain health and causes cognitive impairment as we age. Watch Joe on Lab TV here.